Between the honking taxi horns, overcrowded subway trains and sky-high rent prices, New York City isn’t exactly known as a relaxing place to live. It’s no wonder that at least 56 percent of us feel anxious. But keeping up with your fast-talking, coffee-guzzling ways isn’t going to help any New Yorker relax. When your frazzled nerves need a break, hole up in one of these nine calming spots in the city. A few moments of solitude might be just what the doctor ordered. 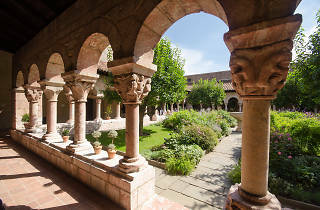 Though it’s part of the Metropolitan Museum of Art family, the Cloisters is much less crowded than its sister museums on the Upper East Side. Architects created the building from the stone from five French medieval churches so it has the same elegant style as the original. 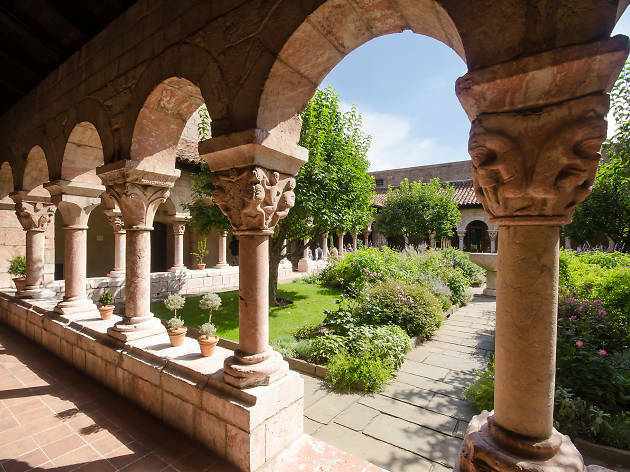 Wander quietly through the collection of art from the Middle Ages, or spend a relaxing afternoon reading in surrounding Fort Tryon Park. Sliding into the sensory deprivation tanks at this posh spa is an almost otherworldly experience. After a quick shower, you’ll enter the private float room to the sounds of light ambient music. Once you get into the tank of warm salt water, though, the music gives way to complete silence and utter darkness for nearly an hour. The last natural forest and salt marsh in the city, Inwood Hill Park offers visitors a peek into what New York must have been like before settlement. Explore the prehistoric caves and the remnants of a Revolutionary War fort to really get a sense of the history of the land. If you’re lucky, you might even spot a bald eagle soaring over northern Manhattan. Catch a new release or independent film in the comfy leather recliners at the Alamo Drafthouse. When the lights dim, you’ll forget your cares and lose yourself in the flickering screen in front of you. If you need a little help relaxing, a cocktail from the House of Wax bar should do the trick. Renowned architect Louis I. Kahn designed this four-acre green space on the tip of Roosevelt Island to commemorate Roosevelt’s 1941 address to Congress. Though history buffs will no doubt enjoy the political significance, anyone can relax in the serene landscape dotted with linden trees. Lose yourself in the vastness of the cosmos during a trip to the Hayden Planetarium at the American Museum of Natural History. All your worries and anxieties suddenly seem insignificant in comparison to the millions of stars, planets and galaxies. The phrase “stop and smell the roses” never seemed so fitting. Make the trip up to the Bronx to spend an afternoon admiring the wide variety of flora and fauna at the New York Botanical Garden. Even if you’ve visited the main Haupt Conservatory before, there’s still all 250 acres of the garden to explore. If you’d rather meditate on the beauty of a perfectly cooked bowl of ramen than some New Age mantra, Ichiran has the dining experience for you. In addition to a traditional dining room, the Bushwick restaurant also offers solo flavor concentration booths to help you focus on the tenderness of the pork or bite of the noodles. Finally, a way to request a table for one without the stigma. Hide away in one of the many reading nooks inside this Victorian Gothic library in Greenwich Village. The stained glass windows, spiral staircases, vaulted ceilings and looming clock tower almost make building seem like something out of a fairytale. While you’re there, don’t miss the chance to check out the collection of rare books about New York City.